There are theme park shows – and then there are Disney theme park shows. In my lifetime, the best show that I ever saw at any park was EPCOT’s Illuminations – the sight of the night sky turning to daylight for that brief moment still resides with me. I thought that memory would never be supplanted – until I saw “World of Color.” Years in the making and millions of dollars in R&D, and it’s safe to say that those Imagineers got it right…again. To think this photo was shot AFTER the show ends. Just be sure to bring a rain jacket – a slight change in wind direction will leave you soaked. 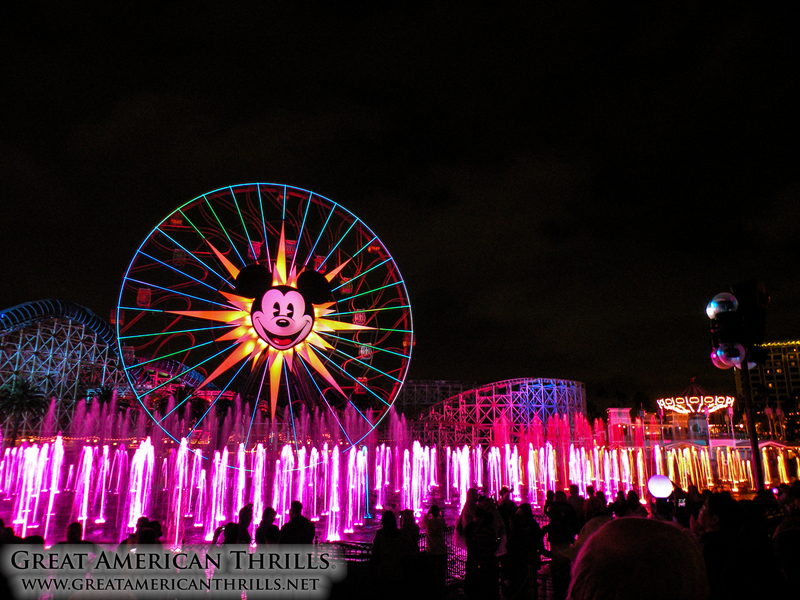 In terms of event entertainment, “World of Color” takes the cake. People will begin lining up for showings two (2) hours prior. Thanks to my friends at BorrowLenses for allowing me to capture such beautiful photos with their gear. For most people, today is a holiday about love. For others, it’s about the over commercialization of a natural human emotion. 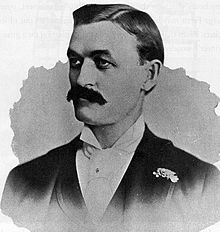 For me, it’s cause to celebrate – to hold my hat up high and say, happy 154th birthday to George Washington Gale Ferris, Jr.! One of the most recognizable names in the amusement industry – maybe only behind Walt Disney – Ferris is responsible for the engineering and building of his namesake, the Ferris wheel. 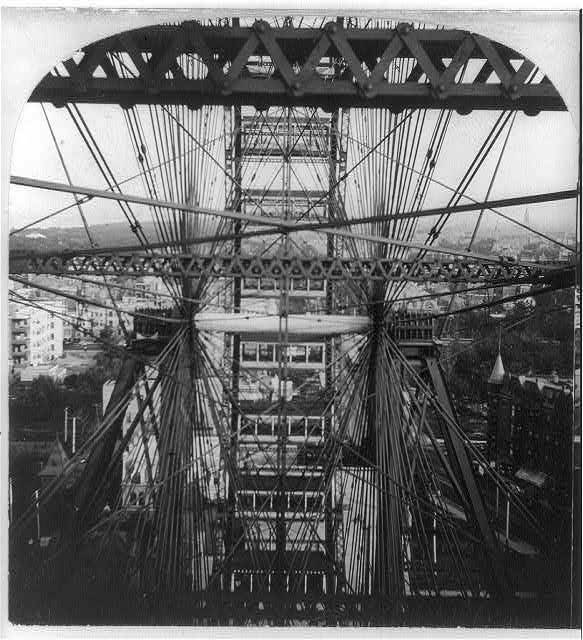 Debuting at the 1893 World’s Columbian Exposition in Chicago, Ferris’ wheel was steam driven and used 36 cars the size of train cars to take 60 passengers EACH as moving observation decks. The ride was never designed to be thrilling (the ride lasted about 30 minutes with loading) but rather, to be an observation attraction. The wheel was beefy in construction and simply dwarfed all other structures at the fair. It was meant to be an answer to the Eiffel Tower – and it delivered. The construction methods and engineering is strikingly familiar to the Parisian icon. Even by modern standards – Ferris’ first wheel was massive. 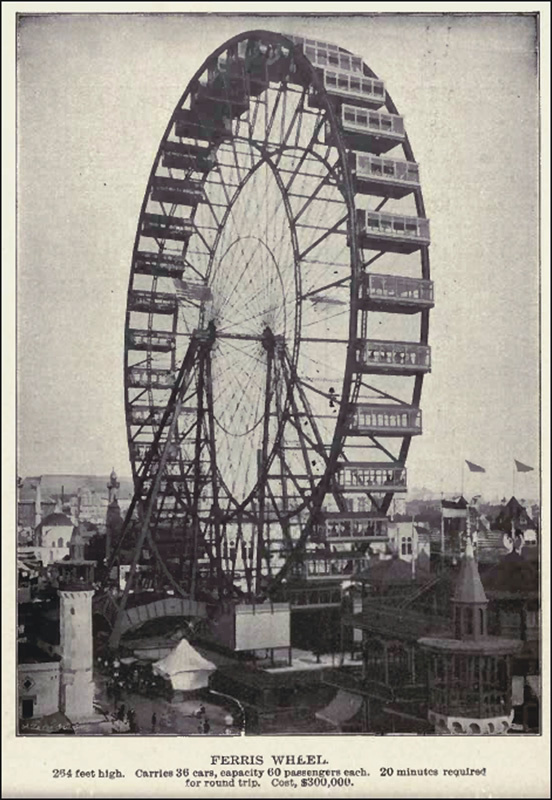 While most wheels today are transported via trailer and rarely break the 100-foot mark, Ferris’ observation wheel in Chicago was 264 feet tall. (That’s over 25 stories!) To this day, only a small number of wheels have eclipsed this number. Sans the occasional upgrade to the passenger compartments, or the frightening concept of the eccentric wheel (Mickey’s Fun Wheel, Wonder Wheel) or the ultramodern spoke-less wheel (Big O) the general concept of the ride has not changed much in over 100 years. It’s a true blast from the past that is in quite the renaissance – and we’re not talking carnival wheels, here. You see, the large wheel is making a huge comeback that would make Ferris proud. Sadly, Ferris’ legacy is somewhat tainted these days – it’s become more fashionable to call them “observation wheels,” rather than the name which was connected to them. A “Ferris Wheel” it would seem, should only be found at a fair – an “observation wheel” is more likely to be found in a trendy metropolis. The view from inside one of the 36 cars. Each one could hold up to 60 passengers! So the next time you’re at your local amusement park and see a Ferris wheel, look skyward, and thank Mr. Ferris – for creating one of the most prolific amusement attractions in human history.